The God who ordained government has much to say about our responsibility toward government. This quiz and test book helps you know that your teen is gaining a biblical foundation for good citizenship and an appreciation for America’s heritage of a government founded on biblical principles. Questions throughout emphasize the truth that righteousness is required for God’s blessing on a society. 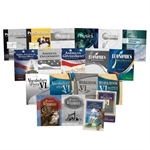 The quizzes and tests are correlated with the text American Government in Christian Perspective, 3rd ed., and American Government in Christian Perspective Teacher Edition, which includes the curriculum/lesson plans and “pop” reading quizzes. (Note that content from State and Local Government Study Outline is not included in the quiz/test book.) 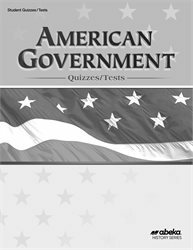 Answers and grading guidance for the quiz and test book are sold separately in American Government Quiz/Test Key. Grade 12. One semester. Essay questions develop thinking skills as your teen must articulate governmental processes or a biblical worldview regarding government. Questions test knowledge of the U.S. Constitution. Your teen will know not only what it says but the biblical principles upon which it was founded, providing a foundation for him to be an informed, principled citizen. 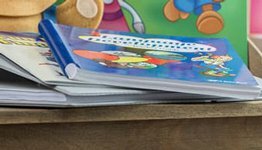 Quizzes on the memorization of the preamble to the Constitution, first verse of the American national anthem, and key Bible verses ingrain important foundational concepts for good citizenship. 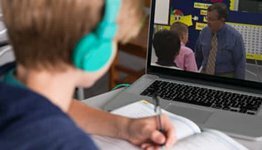 A variety of question formats on the quizzes and tests such as multiple choice, modified true/false, matching, and short answer evaluate your teen’s learning on multiple levels from recall to application in an easy-to-grade format. 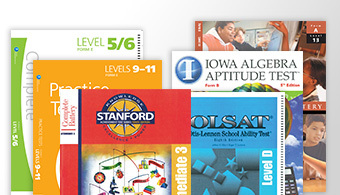 The 19 quizzes covering textbook content or memory work provide valuable reinforcement of learning and preparation for tests. Testing every three weeks (for a total of 6 tests) provides reinforcement of learning and an opportunity for your evaluation of your teen’s comprehension. One cumulative nine-weeks exam and final exam further reinforce the concepts learned throughout this semester course. Since each quiz and test clearly specifies the sections covered, adjusting them to your schedule is easy.